Nature’s way to reach your most beautiful skin. 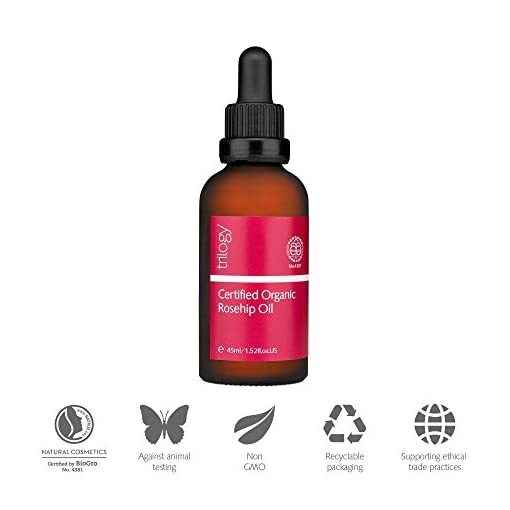 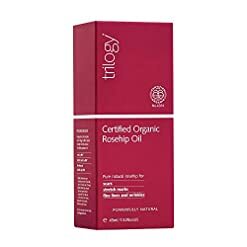 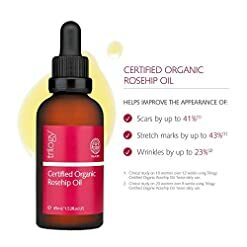 trilogy Certified Organic Rosehip Oil is a powerful skin care product that helps strengthen the appearance of scars, stretch marks and wrinkles and dry skin. 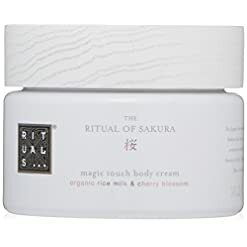 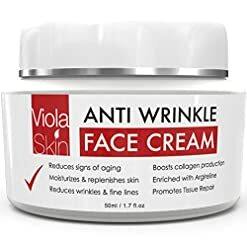 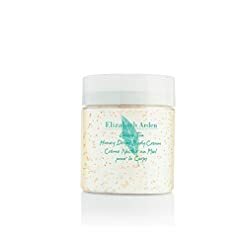 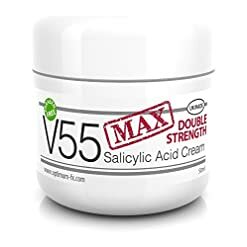 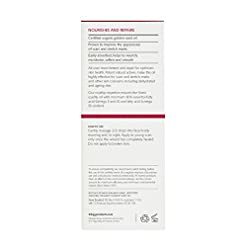 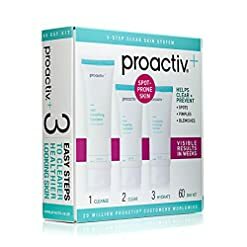 Its potent natural actives and 100% natural formula also make it highly effective for other skin concerns including aging skin, dehydration and uneven skin tone. 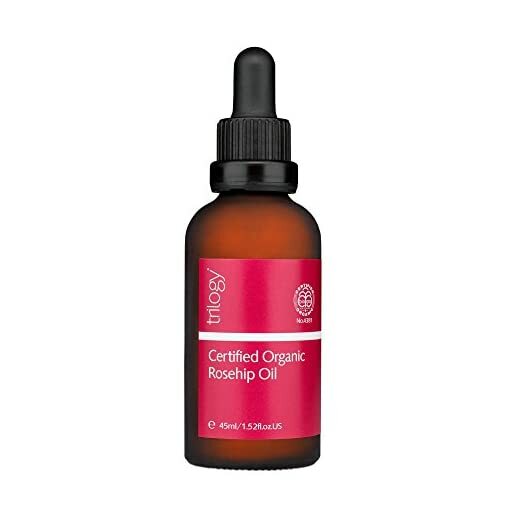 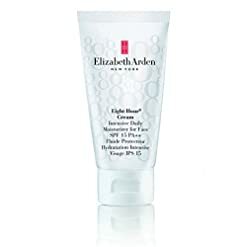 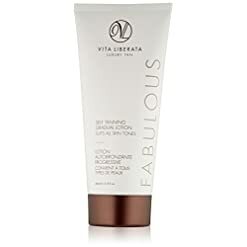 It dramatically improves skin moisture levels, leaving the skin’s appearance radiant and glowing. 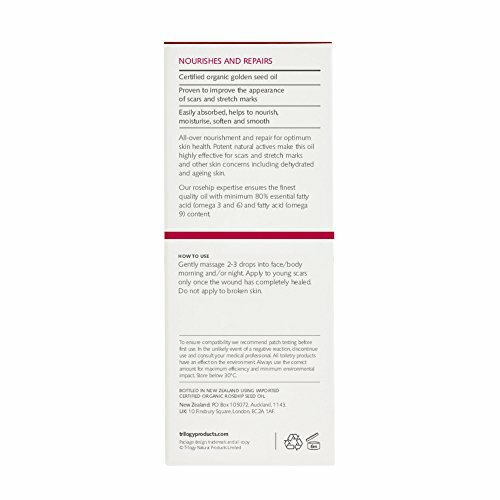 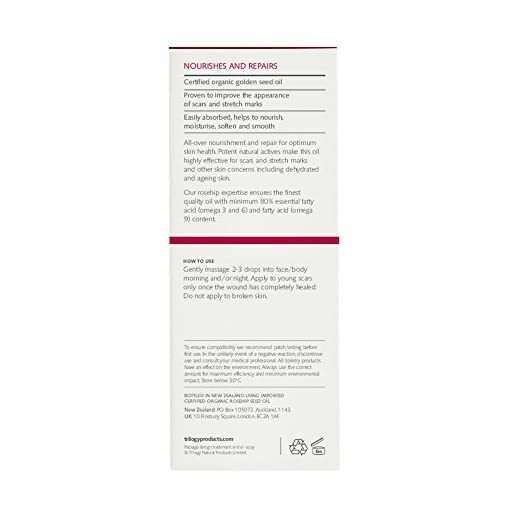 Rosehip Oil contains no additional ingredients such as preservatives, colours or fragrances. The oil is naturally rich in Omega-3 and Omega-6 Essential Fatty Acids, vital lipid compounds that work at a cellular level to promote cell regeneration and boost skin moisture. 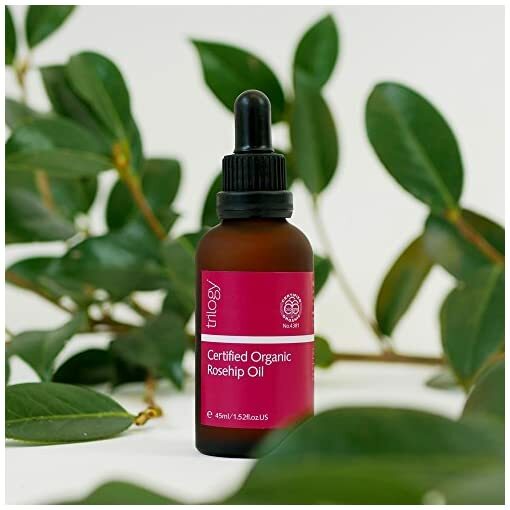 Essential Fatty Acids are essential to the health of our skin and cannot be manufactured by the body due to this fact they want to be supplied. The oil is also rich in antioxidants, Beta-carotene and Lycopene which fight free radical damage and help preserve skin cell structure. 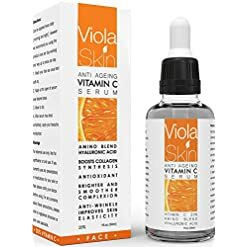 These are key nutrients for keeping skin healthy and safe against the harmful effects of the sun and way of life stresses. It may be used on all areas of skin, on the face and body, except for areas of broken skin that have not yet healed. 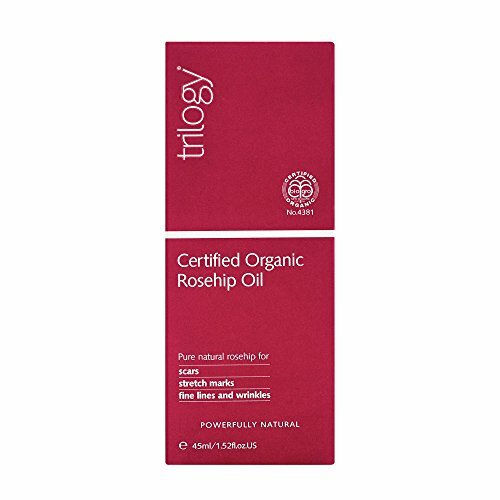 Rosehip Oil can safely be used by the whole family and is protected for pregnant women and can be utilized on baby’s skin.